As we close this successful 2017, the Sensofar team wants to share with you the exciting news of the new building construction in the current headquarters in Barcelona. With this expansion, Sensofar will be doubling its space to better meet your needs and will be able to accommodate its entire staff and work areas in one site. We are getting ready to face a 2018 year full of energy, enthusiasm and opportunities. 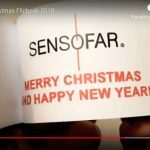 From all of us at Sensofar, we look forward to continuing to work with you in the new year and wish you a great holiday season as well.